Membership - Interactive America, Inc.
IAINC has members comprised of both CDCs and other community stakeholders. Our members work tirelessly to benefit the neighborhoods they serve through a wide range of activities including affordable housing, economic development & commercial corridor management, health & wellness, community greening, blight remediation, the provision of social services, and more. Interested in joining IAINC? Click here and learn how you can join the premier community of likeminded, civically engaged professionals. Join a growing list of America’s leading established and emerging community-based innovators and entrepreneurs. Learn from experienced colleagues and be re-energized by new voices and fresh approaches. Together, share resources and insight, and most importantly, gain a seat at the table in development decision-making. IAINC members’ voices are heard! 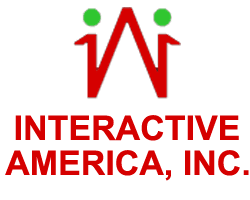 Interactive America, Inc. Has Three Different membership types available. Join Today! 24/7 web access to our quality, collaborative work space, and the opportunity to create in a productive, peaceful atmosphere. IA-Café Members also have full access to our Digital Library. IA-Café Members also have full access to our Digital Library. Find a spot, break out your tools, and get inspired. IA-Café Membership is a perfect solution for those who are ready to stop working in the house. IA-Cafe is a professional, multi-purpose space to meet clients and customers. Incorporate community and value into your business today. Your IA-Café Membership includes four hours per month of conference room time, and you can purchase additional time at a discounted member rate.